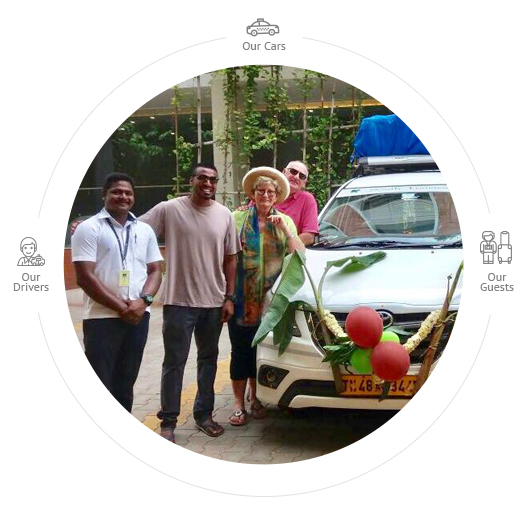 With Cholan Tours Car Rental you don’t just travel from A to B, but also have a great experience throughout your journey. Anything specific to say ? Our car hire & rental services stand out for their quality, unique experience & best customer service. We believe, car rental is about the journey itself – the car you travel on, the driver you travel with and the experiences you have along the way. We also understand your needs to rent a car may differ. That's why we have a range of car, from mid size to sedan, available to hire. All our vehicles are driven by professional drivers who take great pride in their work and who know the routes they cover thoroughly. Most of our drivers are fluent in English and can provide insights into life and the things you will see along the way.